In 2015 it was Sun Country that eliminated its nonstop flights from Minneapolis St. Paul International Airport to Chicago Midway. Now Spirit Airlines has dropped flights from MSP to Chicago O'Hare as of the end of April. "As we added more destinations out of Minneapolis, we no longer needed to filter our guests through Chicago, which was acting as a hub," said Derek Dombrowski, media relations manager for Spirit, in an email. "With less traffic needing to transfer in Chicago, we no longer felt a need for the route, as direct traffic from Minneapolis to Chicago is well covered by other carriers." Dave Lovick, co-owner of seven Travel Leaders travel agencies in Minnesota and Wisconsin, said the MSP to Chicago route is a competitive one, especially for business travelers. American (ORD), Delta (MDW and ORD), Southwest (MDW) and United (ORD) offer service to one or both of Chicago's airports. "Service and reliability are key," he said. "An airline has to get business people to their destination on time. Spirit worked better for the leisure traveler." Sign up for the daily business newsletter for the latest headlines. Fliers can check on time arrival percentages at www.flightstats.com. Stats on Spirit's flights from MSP to ORD are not available due to cancellation, but flights from MSP to Las Vegas and a flight from Boston to MSP received a "very poor" rating due to on time performance of less than 60% and average waits of nearly an hour. When enough passengers, especially business travelers, don't fly an airline because they're concerned about late arrivals or excess fees, the airline has to drop out, "The low-cost carriers go where the money is," said Chris Elliott, author of "How to be the World's Smartest Traveler." "If they can't make enough money on a certain route, they'll pull out. The legacy carriers are formidable competitors. The low-cost carriers are opportunistic feeders." Even with four remaining carriers flying to Chicago from the Twin Cities, prices don't seem to be as competitive as they used to be. It wasn't that unusual to pay less than $200 for an MSP/ORD flight years ago, but prices have crept up to $300-$400. "It's supply and demand," said Lovick. "These days planes are flying full and prices have gone up with some occasional lower prices." 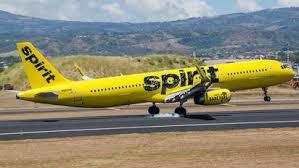 Spirit entered the Twin Cities market in 2012 with three flights daily to Chicago and one to Las Vegas. It currently flies nonstop from MSP to 17 domestic destinations.